It was an impressive start with the Porchetta. 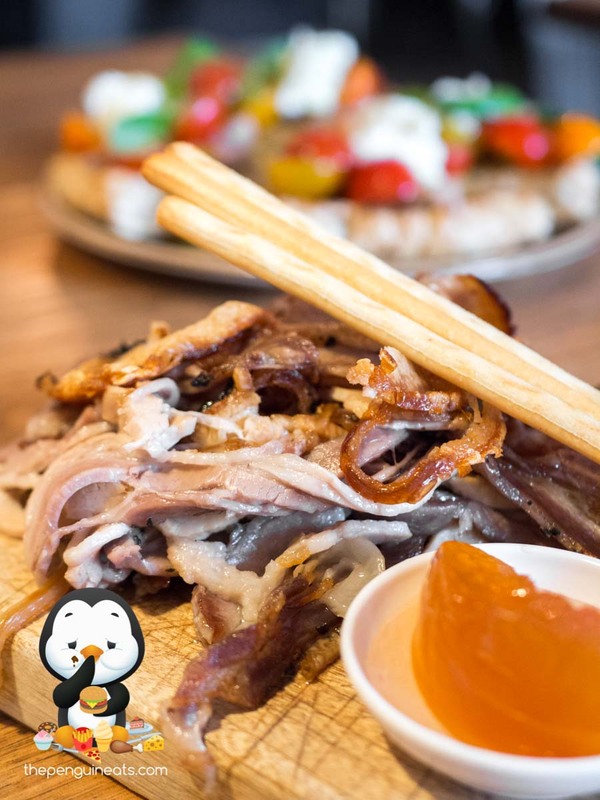 Roasted in-house, the shaved bits of pork was simply roasted to perfection. With a good mix of fatty bits, succulent meat, as well as a tad of crackle intertwined within, the flavour and texture diversity within each mouthful was just astounding. This was well complemented by the sweet “fruit mustard”, which was a thick jam that brilliantly juxtaposed the pork itself. The Fratelli d’Italia was their unique take on the humble bruschetta and it certainly didn’t disappoint either. 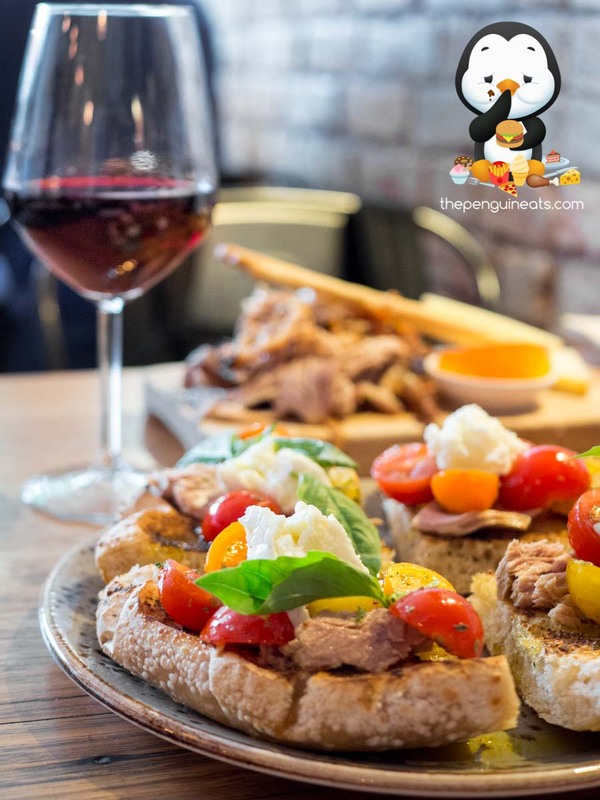 Generously topped with cherry tomatoes sporting many different colours, the vibrant theme was continued with whole leaves of basil and liberally applied chunks of buffalo mozzarella. 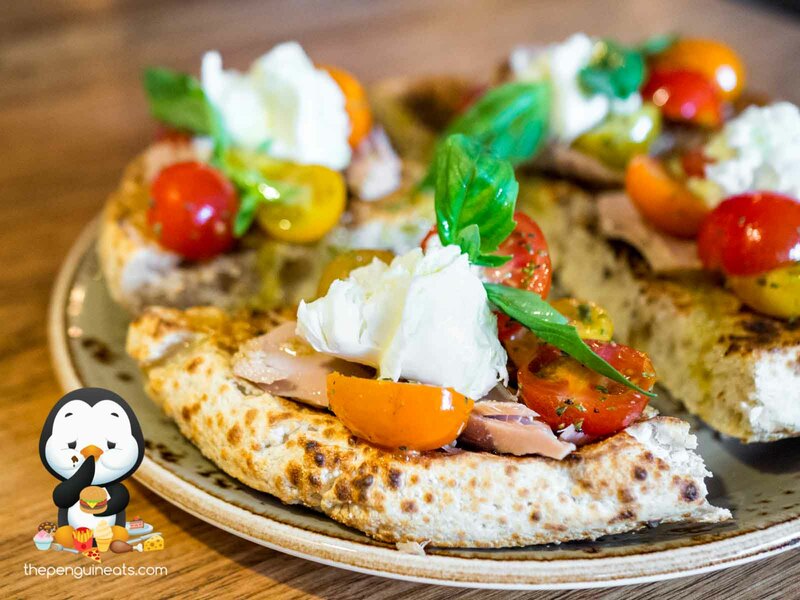 The This was well complemented by large chunks of soft, tender tuna, and with olive oil liberally drizzled on top, the pizza-dough-like bread acted as the perfect sponge to soak up all the juicy goodness. The mains were no less spectacular. 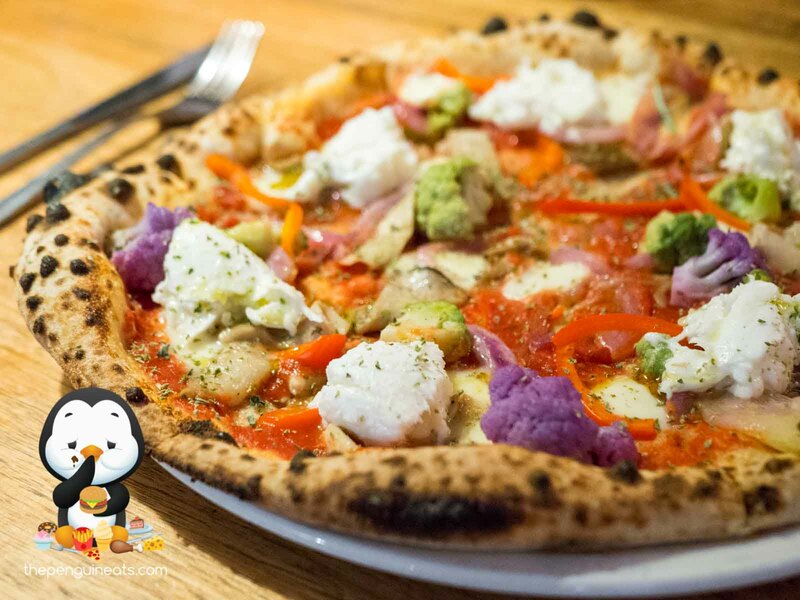 Our Organica Pizza was such a colourful delight, The thin yet crispy base was fragrant and flavourful, which was well complemented by a rich though slightly sour tomato sauce. This was topped with various colours of cauliflower, cooked to perfection and offering up a satisfying crunch, as well as juicy mushrooms that simply squirted out with juices with each bite. The once again generous chunks of buffalo mozarella of course only added to the delightful taste of this pie. Coming to the crust, we found that it was absolutely flawless, just puffy enough without any sign of chewiness. 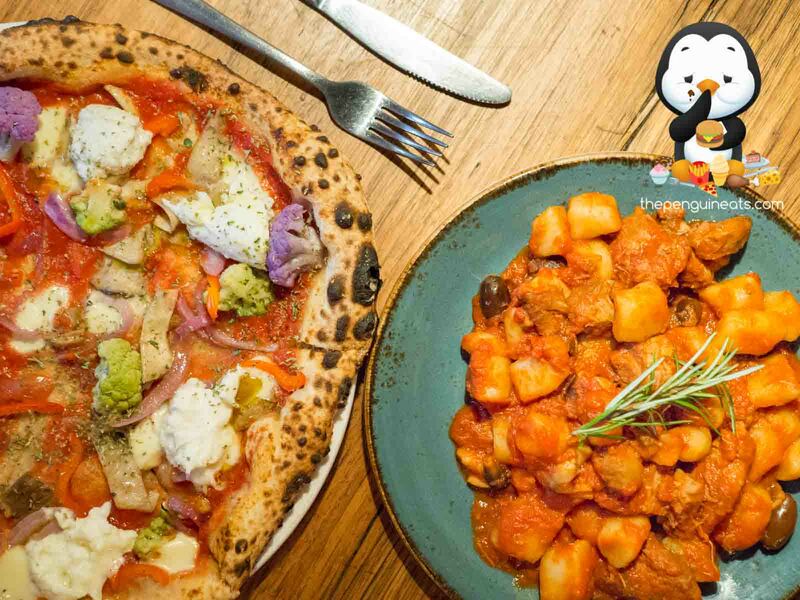 We thoroughly enjoyed the Lamb Ragu Gnocchi, and this was quite possibly the best gnocchi we’ve come across in Melbourne. Made in-house, these potato gnocchi were light, pillowy soft and just a tad fluffy, directly juxtaposing the usual stigma of bad gnocchi, which is usually described as sticky, mushy and glucky. 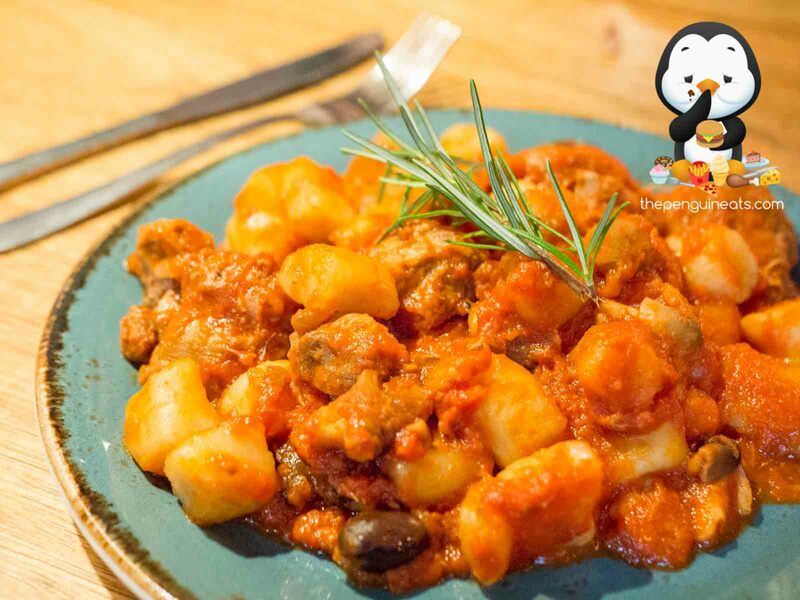 Perfectly coated in a rich napoli sauce and served with a simple yet tender cuts of lamb, this is a heavenly dish for any gnocchi lover. 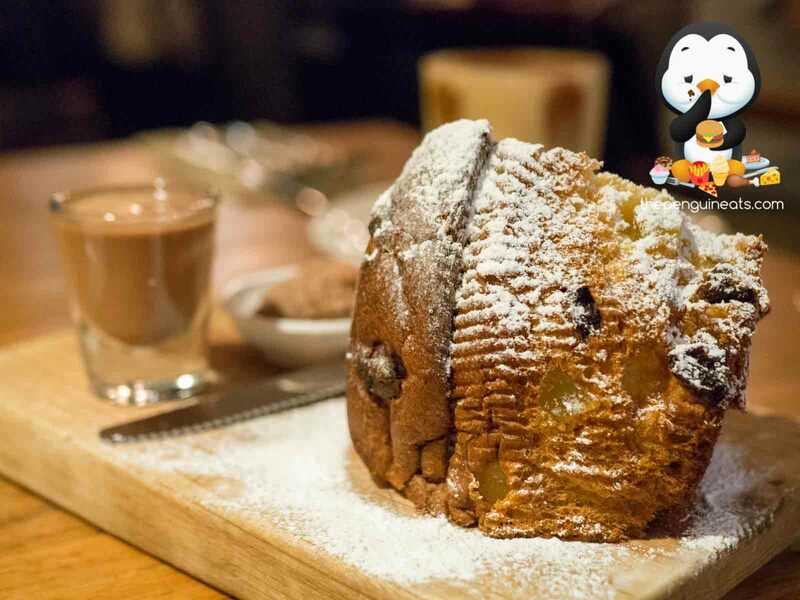 The meal concluded with a Panettone and a Tiramisu, both incredibly indulgent and would easily satisfy any sweet cravings. 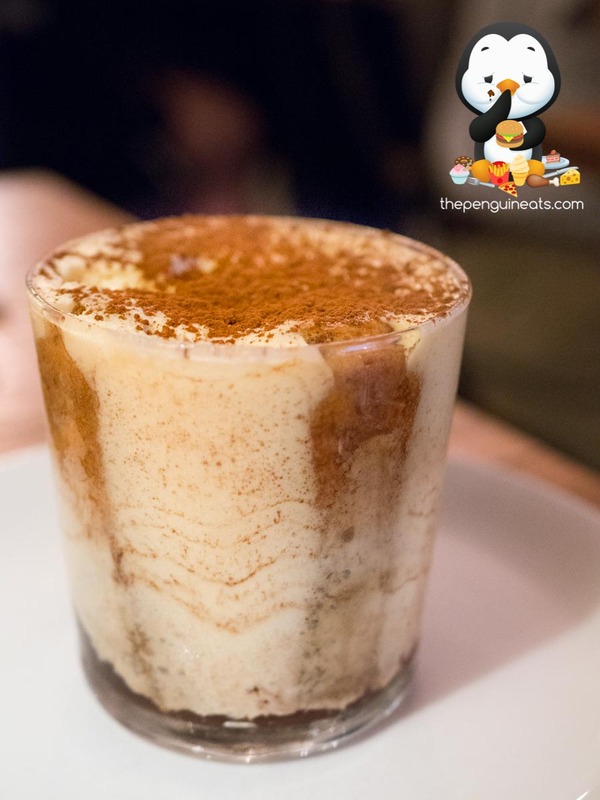 The Tiramisu was the standout though, which had a thick though light layer of cream that was well complemented by an inner filled with soft, fluffy coffee-soaked biscuits. The coffee flavour was forward yet well-balanced without being overly bitter, and made for a very enjoyable experience overall. 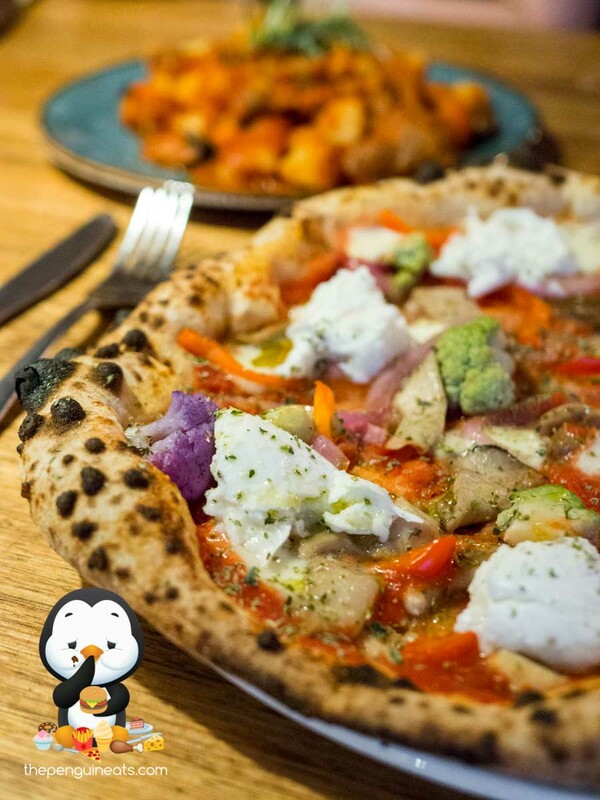 48h Pizza and Gnocchi Bar has been on our to-visit list for a long while, and we are glad to report that it did not disappoint one bit! The heavenly gnocchi here is definitely one of the best outside of Italty, and the pizzas were spot on too! 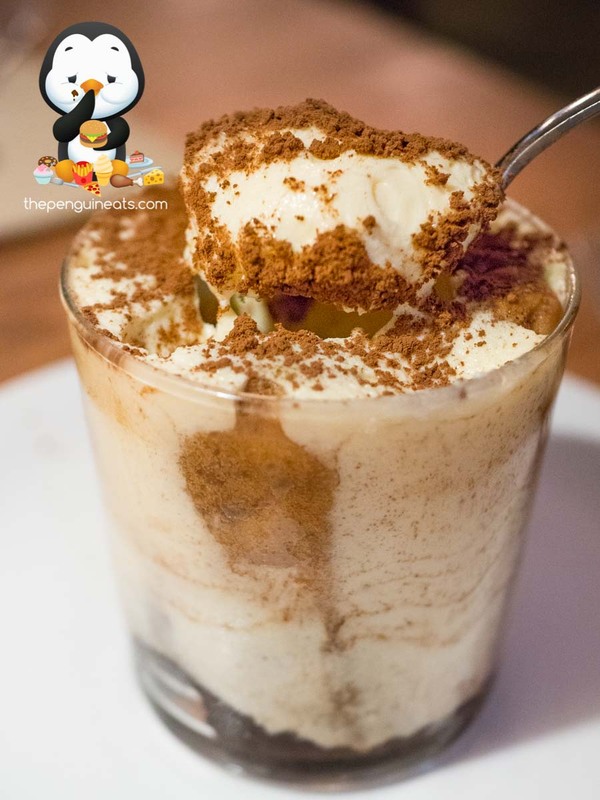 For an authentic Italian dining experience that’s bound to satisfy your tastebuds, you need not look further! Most definitely! 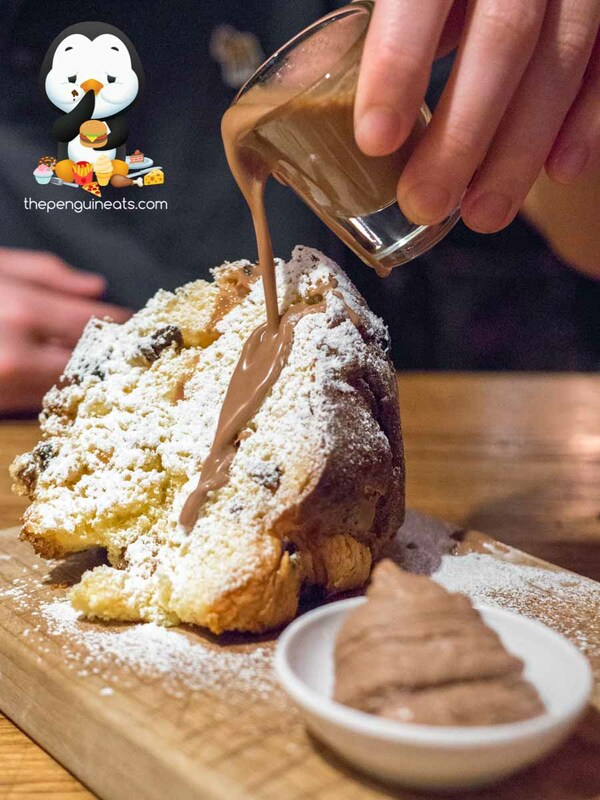 Can’t wait to be back for more porchetta and gnocchi! 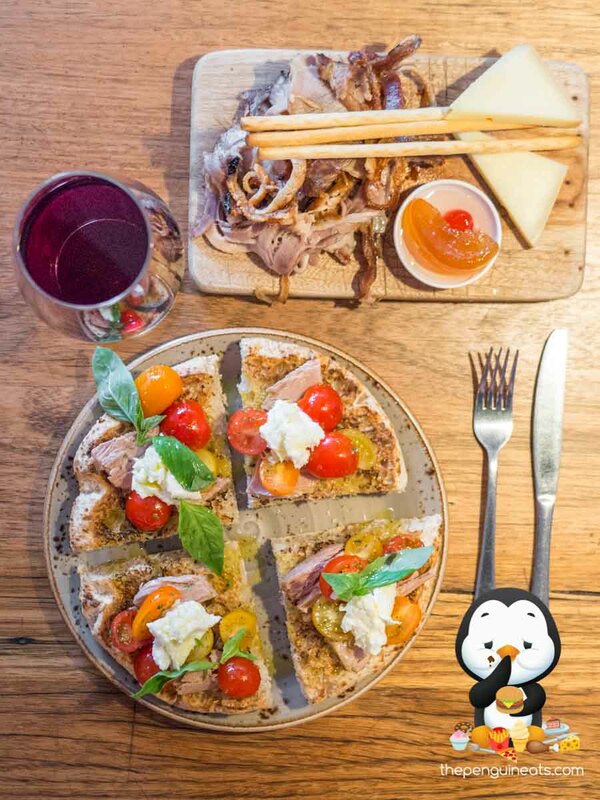 Penguineats would like to thank 48h Pizza and Gnocchi Bar for inviting us.